Triple expansion engine with Stephenson's link-motion. 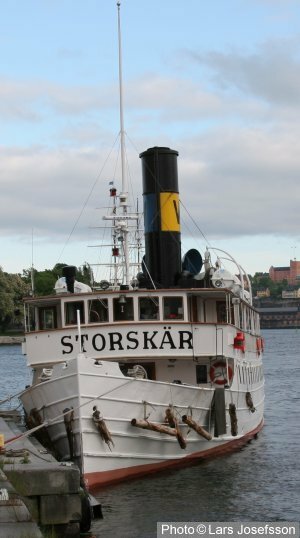 Steamship Storskär moored with her bow to the quay just as most of the steamships in Stockholms. 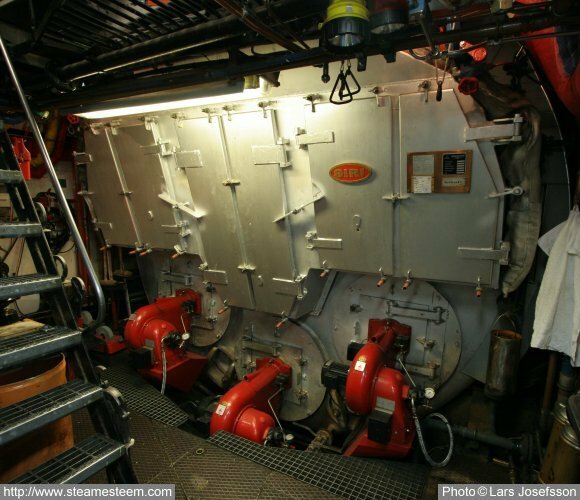 Steamship Storskär's oil fired scotch fire tube boiler's three pressure jet atomized burners. 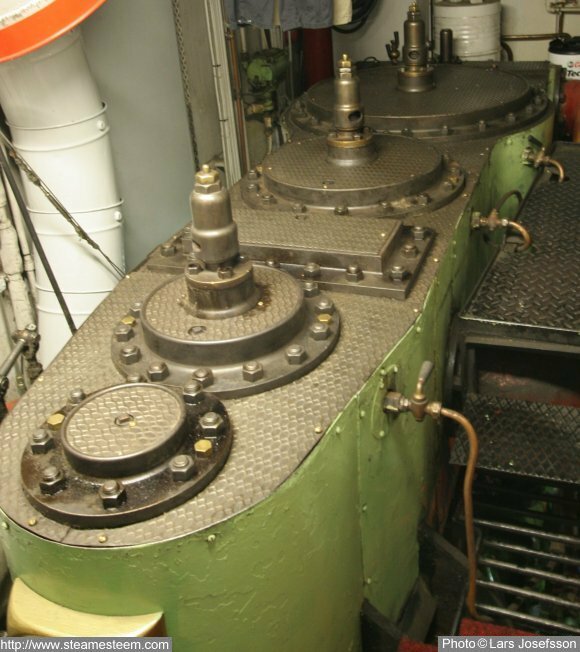 The top of the Steamships triple expansion steam engine. The high pressure slide-valve is a piston-valve and the intermediat- and low pressure slide-valves are D slide-valves. 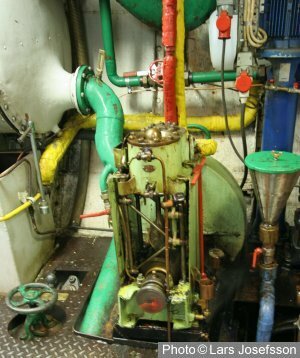 Cooling water pump driven by a singel cylinder steam engine. and blue for fresh water. 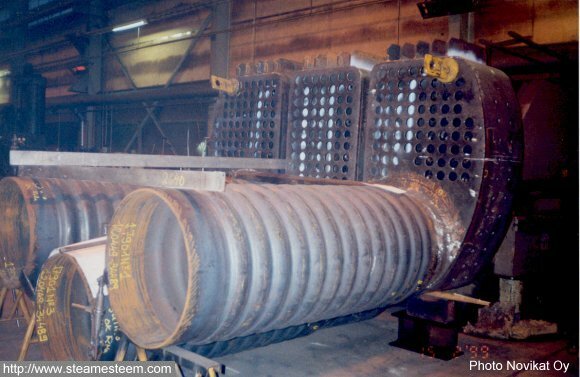 The corrugated fire tubes and the combustion chambers at the workshop. 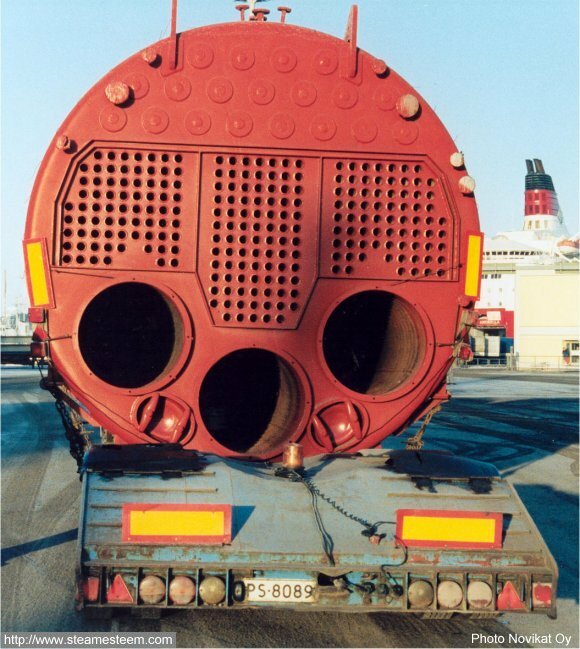 The new Scotch fire tube boiler on its way to Steamship Storskär.